URGENT SALE 3 Bedroom Villa with additional Apartment TiTLE DEEDS AVAiLABLE. 3 Bedroom Very Large Upper Apartment TiTLE DEEDS AVAiLABLE. FOR SALE - 3 Bedroom Penthouse - Universal,Paphos. Sea View Bungalow in Prestige area by Coral Bay TiTLE DEEDS AVAiLABLE. FOR SALE - 2 Bedroom First Floor Apartment - Universal,Paphos. FOR SALE - 2 Bedroom Townhouse - Pegeia, Paphos. Superb 3 Bedroom House in Kato Koutrafas Cyprus. Luxury 3 Bedroom Villa in Aphrodite Spa and Beach Resort Paphos Cyprus. Luxury 3 Bedroom Villa in Aphrodite Spa and Beach Resort Paphos Cyprus Euroresales Property ID – 9824976 Property information: This excellent property is a 3-bedroom luxury villa located in the Aphrodite Hills Resort in Kouklia, Cyprus. The property is very spacious and consists of 3 large en-suite bathrooms, kitchen and living/dining area. The property has its own gym which includes weights, exercise equipment and table tennis. The kitchen and utility room of the property both come fully equipped including: stove, refrigerator, grill, dishwasher, microwave, washer and dryer. The property also includes a fireplace and is fully air conditioned throughout, the downstairs area also includes Dyson air mobile conditioning fans. The villa has been designed in a manner which enables the rooms to remain cooler than typical villas. The property also includes a superb private pool which provides a nice area to cool down on hot sunny days. Along with the private pool there is also a private garden which provides a wonderful area to relax. The outdoor area includes seating, just by the pool, under a wooden gazebo where you can watch the sun set. A dining table and seats are also included on the veranda. Upstairs, there are two spacious balconies where you can sit and watch the sun sink into the sea. This villa probably has some of the best views on the resort. Other Information: Total Floor size – 360 square metres Air conditioned throughout Private Parking 3 Bedrooms 4 Bathrooms 1 W.C Distance from beach - 900m Distance from airport - 18km Facilities: Air Conditioning Babysitting Bar Basketball Bicycle Rental Snack Bar Medical Centre Football Golf Gym Jacuzzi Kids Club Kids Playground Mini Market Restaurant Safety Deposit Box Sauna Spa Sunbathing Terrace Sunbeds Swimming Pool Tennis Courts About the Resort and Area: Aphrodite Hills Golf & Spa Resort is located near Paphos, this luxurious and casually elegant resort is set in one of the most naturally beautiful locations in Cyprus. The resort is spread across 234 hectares of land, it is the first golf, leisure and real estate development in Cyprus. The residences are among the 5 complexes at the heart of the resort – Adonis, Theseus, Zephyrus, Apollo and Helios. Each complex village is situated within walking distance from the Village Square, the heart of Aphrodite Hills Resort. At Aphrodite Hills Resort guests can taste innovative international cuisines and award-winning wines at the Hotel restaurants and lounges. Anoi Pub & Bar is located in the heart of the Resort, the first floor of the Resort’s Village Square. Here guests can enjoy a large variety of draft and bottled beers, a new world wine list and quality fast-food favorites! They also offer regular live jazz and wide-screen entertainment while music is themed from the Eighties and Nineties. Asian Corner serves a combination of Sushi delicacies and Chinese specialities featuring recipes which use fresh ingredients from Asia. The restaurant itself is alfresco, with an open and airy atmosphere! Golf Lounge overlooks the signature championship golf course and is the perfect spot to enjoy drinks. Psarochori Seafood Lounge Restaurant is located within the Village Square and prepares an array of delicious seafood in a traditional Mediterranean atmosphere. The Aphrodite Hills Spa is located on an elevated part of the Resort above the Mediterranean Sea. It features a range of treatments, sauna and hamam. The Pirates Village features a spacious indoor Kids Club for ages 3 to 12 years, a separate baby Crèche which caters for babies 6 to 35 months, shaded play areas, an outdoor adventure playground (bouncing castle and trampoline), a multi –purpose surface court and a 75 m² children’s swimming pool with active water slide. Golf lovers can enjoy the 18-hole championship standard golf course, complete with clubhouse and academy. Superb Luxury 4 Bed 4 Bath Detached Exclusive Area 5 mins west of Kyrenia Northern Cyprus. Superb Luxury 4 Bed 4 Bath Detached Villa Exclusive Area 5 mins west of Kyrenia Northern Cyprus Euroresales Property ID – 9824980 Property information: This property is an excellent 4-bedroom villa which is located in Edremit, Kyrenia, Northern Cyprus. The property is situated at an elevated location providing beautiful panoramic views of the mountains and Mediterranean Sea. The property is located only a few minutes away from the centre of Kyrenia and has easy access to the dual carriageway to Nicosia and to the west of Kyrenia. To the ground floor is a spacious lounge and diner with lots of light and fantastic views on to the Mediterranean. The kitchen is open plan next to the dining area with plenty of space for cooking and dining. High spec Neff white goods, granite worktops and double door American fridge in place One double bedroom is located on the ground floor and is currently used as a TV/sitting room. There is a utility room as well as a family bathroom. Upstairs are 3 double bedrooms, all with en suite bathrooms and built in wardrobes The property also includes a superb private garden which provides a wonderful area to spend time and relax. The garden is beautifully landscaped and has irrigation system. The property also offers private parking in the driveway providing enough space to store 2 cars. The property is being sold as fully furnished throughout with high end fixtures and fittings, as new stylish furniture. Other Information: House size 230 metres squared Extensive terraces 10m x 5m swimming infinity pool with roman end 4 large en-suite double bedrooms with built in wardrobes Gas central heating Fully fitted Italian kitchen with gas ceramic hob Neff white goods and double door American fridge with ice and water dispenser Granite work surfaces Marble flooring throughout AC units in each room Reverse osmosis water purification system White double glazed windows Irrigation system Exclusive area 5 mins West of kyrenia Solar panels for hot water, an alternative to using the gas. All paperwork in order (Kojan, Clearance, deeds etc), no debts etc on the villa All quality furniture is as new 2 x toldos (blinds) on top terrace for shade and privacy plus a sail outside the dining room area for shade. Entrance hall w: 3.22m x l: 6.13m From covered portico double doors lead to the large entrance hall with marble flooring, double glass doors lead to: Lounge w: 5.27m x l: 6.05m Spacious lounge with two sliding patio doors leading to rear terrace which has access to the swimming pool, superb sea views, coving, air conditioning unit, central heating radiator, marble flooring. Kitchen Triple aspect with windows to front and side, coving, air conditioning unit, central heating radiator, range of base level fitted kitchen units with granite work surfaces, gas hob with chimney extractor fan, fitted oven and microwave, integrated dishwasher, American style fridge freezer, reverse osmosis water filtration system which supplies water to drinking water tap at the sink and ice dispenser along with water dispenser on the fridge freezer. Granite topped island with cupboards, marble flooring. Dining w: 3.41m x l: 4m Dual aspect with windows to side and sliding patio doors to rear terrace and swimming pool, coving, air conditioning unit, central heating radiator, marble flooring. Utility Window to front, base level kitchen units with stainless steel sink, central heating boiler, washing maching, marble flooring. Bathroom Ground floor shower/wet room with window to side, ceramic tiled walls, heated show rail, shower, vanity wash basin with cupboards, low level WC, tile floor. Bedroom 4 w: 3.6m x l: 4.94m Dual aspect ground floor bedroom with window to side and sliding patio doors to rear terrace and swimming pool area, air conditioning unit, fitted wardrobes, marble flooring. This room is currently used as a television room/sitting room. Hall / Stairs Marble staircase with wrought iron balustrade to large landing with patio doors onto front balcony, marble flooring. Master bedroom w: 3.41m x l: 3.89m Sliding patio doors onto rear balcony with sea views, coving, air conditioning unit, central heating radiator, fitted wardrobes, marble flooring. En-suite Window to rear, ceramic tiled walls, heated towel rail, bath with shower over, vanity wash basin with cupboards, low level WC, bidet, tile floor Bedroom 2 w: 3.54m x l: 4.74m Dual aspect with window to side and sliding patio door to rear balcony with sea views, coving, air conditioning unit, fitted wardrobes, central heating radiator, marble flooring. En-suite Window to side, ceramic tiled walls, heated towel rail, shower/wet-room, vanity wash basin with cupboards, low level WC, tile floor. Bedroom 3 w: 3.58m x l: 3.94m Sliding patio doors to rear balcony with sea views, coving, air conditioning unit, fitted wardrobes, central heating radiator, marble flooring. En-suite Window to side, ceramic tiled walls, heated towel rail, bath with shower over, pedestal wash basin, low level WC, tile floor. Outside Stone boundary walls with wrought iron entrance gates to block paved driveway, mature landscaped gardens, terracing to front and rear of property, 10m x 5m infinity swimming pool, sea and mountain views. About the Area: Kyrenia is a city on the northern coast of Cyprus, noted for its historic harbour and castle. It is under the de facto control of Northern Cyprus. Kyrenia is a cultural and economic centre, described as the tourism capital of Northern Cyprus. It is home to numerous hotels, nightlife and a port. It hosts an annual culture and arts festival with hundreds of participating artists and performers and is home to three universities with a student population around 14,000. Kyrenia Castle at the east end of the old harbour is a spectacular site. The castle dates back to Byzantine times and has served the Byzantines, Crusaders, Venetians, Ottomans, and British. Within its walls there is a 12th-century chapel containing reused late Roman capitols, and a shipwreck museum. Outside the town, on the Kyrenia mountain range, one can see Buffavento Castle, St. Hilarion Castle and Kantara Castle, all of which are thought to have been constructed by the Byzantines. Kyrenia has a hot-summer Mediterranean climate with long, dry and hot summers and cool winters with mixed weather of sunny spells and rain. We have 44 apartments for sale in Northern Park which is a brand new complex for sale in Famagusta Cyprus. The 44 apartments are set over 8 floors. The complex is located just 50 metres from the popular Salamis Street and has many cafes, restaurants and bars. There are also many shops in this area so it is set in a much sought after area and would make a great investment opportunity. EMU University is also located only 400m away and 1.5km away there is a beautiful sandy beach. The wonderful Flamingo Lake is also in the area where tens of thousands flamingos visit between November and March each year. The apartments can be paid for in a payment plan of 30% first payment with the balance due by August 2020. There is the option to buy a 2 bedroom apartment with 1 bathroom and 2 toilets or to buy a one bedroom apartment with 1 bathroom and 1 toilet. The 2 bedroom apartments range in size from 90 to 94 square metres and he 1 bedroom apartments range in size from 55 to 70 square metres. The price of the 2 bedroom apartments is andeuro;69900 and the one bedrooms price is andeuro;49900. The complex is expected to sell out quite fast. Famagusta is a very attractive place for tourists to visit. This is an area of truly outstanding natural beauty, where it is possible to drive for hours without seeing another car. As well as villages seemingly frozen in time, the Karpas offers mile after mile of open countryside and deserted beaches. Venture north from Famagusta during your holiday, and sited on the coast a few miles away, you will find the Ruins of Salamis. The capital of Cyprus in Roman times, this is acknowledged as one of the world's most important archaeological sites. Other nearby places to visit include the tomb of St. Barnabas, with its icon museum andamp; Othellos Tower. The apartment for sale is located in Aphrodite Beach Resort Hotel which is in the north west of Cyprus about 40km from Paphos. The apartment has 2 bedrooms and 2 full bathrooms and a laundry room and is located on the first floor. It is 80 square metres in size. Located on Guzelyurt Beach, this resort offers air-conditioned, self-catering apartments with a terrace. It has 4 pools including a heated indoor pool, a spa, and a restaurant overlooking Morphou Bay. Jet-skis, kite-surfing, and paddle boards are available. A well-equipped kitchen is in Aphroditeandrsquo;s spacious apartments. Floor-to-ceiling windows and oversized sofas are part of each modern apartmentandrsquo;s dandeacute;cor. Massages are provided at Aphrodite Beachandrsquo;s spa. It includes a hot tub, sauna, and a gym with far-reaching views of Morphou Bay. Water sports, like snorkelling, are available at Aphrodite Beach Resort. Guests can read a book from the library on the terrace or make use of free Wi-Fi in public areas. Bike and car rentals are offered at Aphroditeandrsquo;s tour desk. The historic town of Soli is just 6.2 miles from the hotel. Ercan Airport is 31.1 miles from Aphrodite Beach Front Resort, and an airport shuttle can be arranged. Free private parking is available on site. This property also has one of the best-rated locations in Ghaziveran. Guests are happier about it compared to other properties in the area. Europe - Cyprus. Excellent flat with huge verandas for sale in a private neighbourhood. There are plans for the flat tom be converted into a 3 bedroom flat. Europe - Cyprus. Your Perfect villa in an amazing location in the outskirts of Pyla just a minute drive to the sea side at a very affordable price. Europe - Cyprus. The luxury lifestyle exists in Nicosia Downtown Residences. Enjoy the views of Downtown Nicosia. Building for sale in Larnaca (LAC7798). 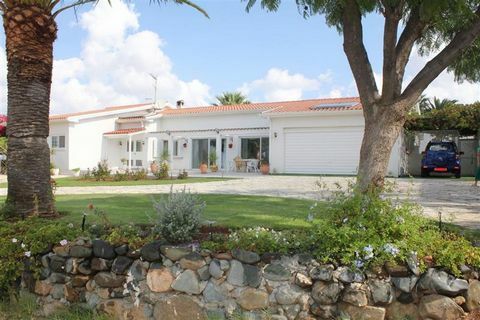 Detached bungalow on Larnaca-Dhekelia road (LAC7780). A three bedroom bungalow is available for sale on Larnaca-Dhekelia road. The Larnaka-Dhekelia Road is next to the most attractive beach in Larnaka. Combined with numerous sporting activities and facilities such as water sports, gyms and indoor swimming pools and its close proximity to the town centre, the Larnaca-Dhekelia Road is the most sought-after area of Larnaka District. Within the area is a wide range of restaurants, bars and cafes, exclusive shops and boutiques as well as numerous amenities including supermarkets, pharmacies, banks and bakeries. Larnaka is an attractive and quiet city which is the same all year round unlike many other areas of Cyprus, which tend to be very busy during the summer months and extremely quiet during the winter. It is one of the oldest continuously inhabited cities in the world and has plenty of historical sightseeing on offer to complement its deep-blue sea, bright sandy beaches and reliably sunny skies. Its famous Palm Tree Promenade and marina ensure a picturesque coastline and Larnaka boasts many of the most appealing beaches in Cyprus. Its central location means that other cities and popular areas of Cyprus are within easy reach – Nicosia, the country’s capital, is less than 60km away, and Limassol and Paphos are approx 65km and 120km distance. Four bedroom apartment is available for sale in Larnaca Larnaka is one of the oldest continuously inhabited cities in the world and has plenty of historical sightseeing to offer, with its picturesque coastline, marina and Palm Tree Promenade. It also boasts many of the most appealing beaches in Cyprus. Its central location means that all popular areas of Cyprus are within easy reach: Nicosia, the country's capital, is less than 60km away and Limassol and Paphos are approx 65km and 120km distance respectively. FOR SALE - 3 Bedroom Villa - Latchi, Polis. FOR SALE - 3 Bedroom Villa - Tremithousa, Paphos. FOR SALE - 2 Bedroom Apartment - Kissonerga, Paphos.